Richard Hannay is gentleman spy for British Intelligence. Born in Scotland in 1877, Hannay was the son of a highly successful Scottish entrepeneur. Because his father's dealings with Europe took them around the continent often, he grew to be no stranger to travel and different experiences, not to mention becoming an expert German speaker. When his father moved to South Africa, young Hannay went with him. Growing up now in Africa, he studied to be a mining engineer and that was how he earned a very profitable living for over a decade, taking an occasional break to serve in the British military during several skirmishes including the Matabele Wars and the Boer War. It was in copper mining that Hannay made his small fortune that would allow him to live the life of a member of the gentry for the rest of his days. In his mid 30s, Hannay decided to leave Africa, for which he would always retain a great fondness, and return to the country of his birth. It was early in 1914 and tensions were so high that everyone knew war was just around the corner. Hannay wanted to be back home when it came. Though he was not sure what he would do when hostilities erupted but he wanted to be on his native soil when it came time to do it. Hannay had always been a personable, friendly fellow, quick to take a liking to and even quicker to help out a friend, even one of just a few days. It is this openness that would get him involved in several interesting adventures during his life. As the series opens, he is 37 and appearing to be a confirmed bachelor ready to retire on his earnings and take up his favorite sport of hunting. The events of the first book, and the start of World War I, would change that for many years. His independent days would end when he meets Mary Lamington, twenty years his junior but every bit as tenatious and adventure loving as her future husband. Hannay would serve in the military during the Great War, especially in the Intelligence ranks, and he would rise to be a Major General. He would also earn a knighthood, making him Major-General Sir Richard Hannay, KCB OBE DSO. 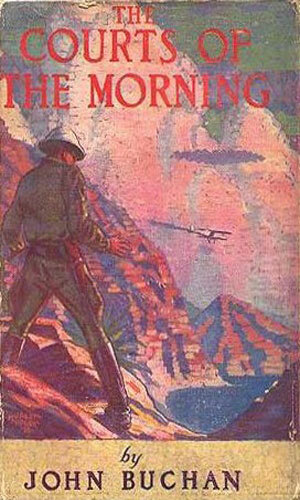 The character Richard Hannay starred in five terrific novels spanning just over two decades. 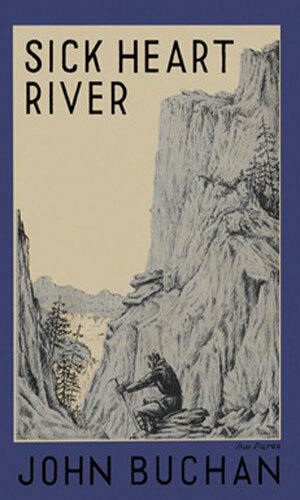 He also appeared as a minor character in two other novels by the author. Richard Hannay is not sure what to make of an American he just met claiming he knows of an upcoming German plan to kill the Greek Premier while in London. Hannay reluctantly lets the man stay with him and when the man is found dead, Hannay knows the story was true. Now he is on the run from the police and the killers. 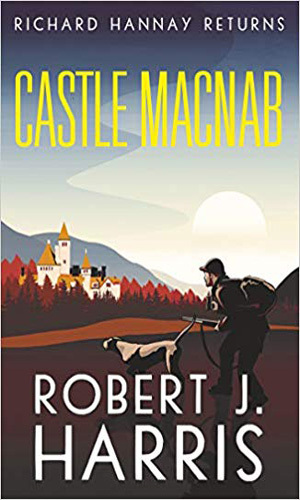 While recovering from wounds suffered in battle, Richard Hannay is approached by a friend high up in British Intelligence who asks Hannay to take on a spy mission. The Germans are rumored to be trying to shake up the Middle East to hamper the British and Hannay is sent there to investigate. A Brigadier-General on the Western Front, Richard Hannay is recalled to London late in WWI to track down a German spy known to be operating in the UK. Richard Hannay is happily married and has just been knighted. He is asked to help in the kidnapping of children of three important families. The clues are few and odd but he takes the job. Richard Hannay narrates the opening to this adventure tale involving one of Hannay's closest friends, Sandy Arbuthnot as that man learns of a tycoon's plan to take over the world. Arbuthnot decides to stop him. Hannay is not involved except as the partial narrator. It has been over a decade since the last recorded adventure and Richard Hannay is now in his 50s. He is asked to fill an old promise to protect the son of a man Hannay knew. To do so he must get involved in a treasure hunt. A close friend and colleague of Richard Hannay, Sir Edward Leithen, has been diagnosed with the final stages of tuberculosis and given a year at most. Another friend asks Leithen to help track down a missing man in the Canadian north and Leithen agrees. Hannay is not in this book but because it is about recurring characters in the series, it is often included in lists. 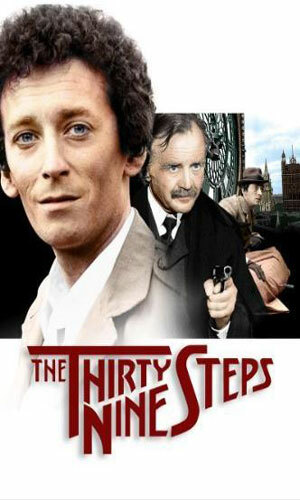 Richard Hannay tries to help a spy-catcher but when that person is killed and Hannay suspected, he must flee to save himself and stop the foreign spies at work. 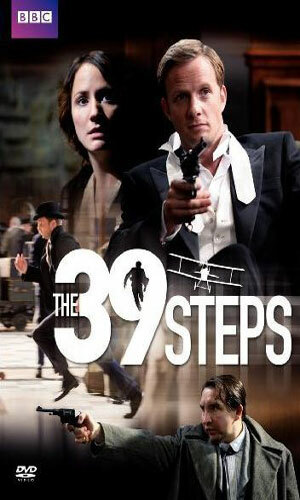 A BBC-TV movie, this tells of Hannay being asked to investigate the disappearance of three people in Scotland. Richard Hannay is surprised when a neighbor breaks into his hotel room to talk of spies at work. Then the man is murdered and Hannay framed. Another, more modern-ish take on the classic. Two separate British television series existed concerning Richard Hannay. 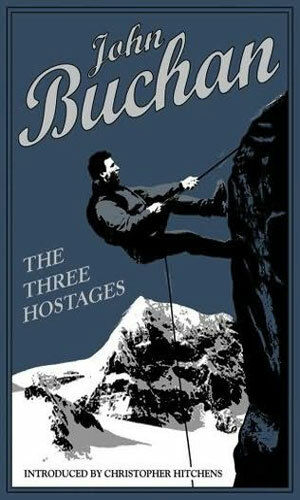 The first was a short-run 6-episode telling on BBC-TV of The Three Hostages in 1952. It starred Patrick Barr as Hannay. The second was a 13-episode series over two seasons on ITV with Robert Powell, who had played Hannay in a movie a decade earlier, reprising that role. According to one write-up this series did not have much in common with the book character. Numerous versions of the first novel were presented by various organizations as well as a couple other of the books in the series. 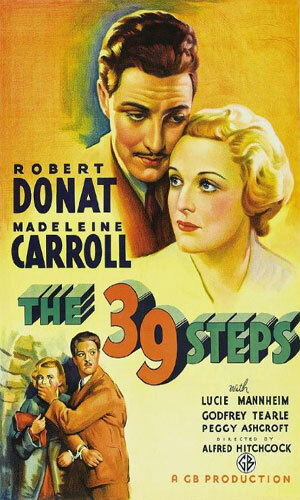 Hitchcock's version of The 39 Step came to radio on 3 different occasions with the character of Pamela. The 1st was played by Ida Lupino for Lux Radio Theater. The 2nd was for The Phillip Morris Playhouse and Madeleine Carroll reprized the role she played in the Hitchcock film. The 3rd was for Studio One and played by Cathleen Cordell. Some well known actors would play Richard Hannay on radio, namely Robert Montgomery, Orson Welles, Herbert Marshall, David Niven and Glenn Ford. Montgomery would star in the 1941 Hitchcock film Mr. & Mrs. Smith and also play Phillip Marlowe in the 1947 film Lady in the Lake. Welles would go down in radio history for his War of the Worlds program and would gain fame cause of his 1941 film Citizen Kane. Marshall would gain fame as the agent Ken Thurston (Mr. X) in The Man Called X radio spy series and also played the writer W. Somerset Maugham in the 1946 film The Razor's Edge. Niven would go to star as Bishop Henry Brougham in 1947 film The Bishop's Wife that also starred Gray Grant, as Phileas Fogg in the 1956 film Around the world in 80 Days, as Miller in the 1961 film The Guns of Navarone, as Jason Love in the 1965 film Where The Spies Are, as Sir James Bond in the 1967 film spoof Casino Royale and as Sir William Stephenson (A Real Life Spy) in the 1979 TV Miniseries A Man Called Intrepid. Ford would gain fame for his many roles in western and war films. plus as Jonathan Kent in the 1978 film Superman. Another 7 actors would also play Richard Hannay on the radio. These were Jack Livesey, Allan Jeayes, Budd Knapp, Alec Clunes, James McKechnie, Fraser Kerr and Noel Johnson. Livesey would play Dr. Richardson in the 1962 film A Touch of Mink that also starred Gary Grant and Doris Day. Jeayes had played Charles the II in the 1934 British film Colonel Blood and was The Story Teller in the 1940 film The Thief of Baghdad. Knapp had play many roles on TV with his most famous one being that of Julius Caesar in the 1966 TV movies of the same name. Clunes is best known for replacing Rex Harrison as Henry Higgins in the stage musical of My Fair Lady. McKechnie also played on radio Conway in the 1951 Lost Horizon and Don Juan in the 1953 The Man Of Ashes. Kerr is best known for being the voice of Saruman The White Sorcerer in the 1978 animated film The Lord Of The Rings. Johnson is known for playing Lord Dangerfield in the 1979 film Licensed to Love and Kill and the Vice Admiral in the 1981 James Bond film For Your Eyes Only. The Lux Radio Theater presentation of this Hannay adventure was aired on that show's Season 4, episode 41 and is based on the 1935 Hitchcock version of the story. The Mercury Theater On The Air presentation of this Hannay adventure was aired on that show's Season 1, episode 4 and is adapted from the novel. The Philip Morris Playhouse presented a variety of different stories during its run. 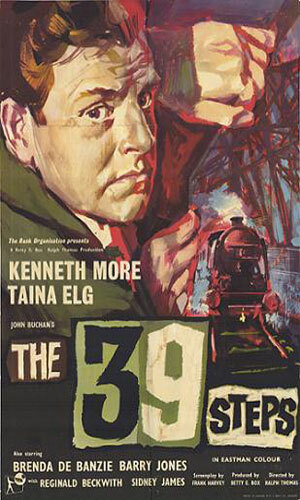 In season 3 the 20th episode was a 30-minute version of the 1935 Hitchcock version of the story. Note: Director and Writer are probable. The Hour of Mystery's 13th and final episode of the season had a new rendition of the story with a very famous actor as the lead. 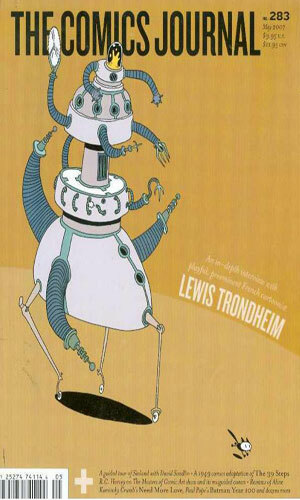 Another version of the novel. A product of the Canadian Broadcast Company, it aired as the 33rd episode of the 4th season on that network's CBC Stage Series. The 12th episode of Studio One's 2nd season presented a radio take on Hitchcock's movie version but made Hannay be Canadian, not Scot, likely to match the star. A 30-minute version of the first Hannay book, it was one of many quick adventures on the CBS Radio Network in an anthology program called Suspense, the 9th episode of the 11 season. Interestingly, Herbert Marshall returns as Richard Hannay so he is both the 5th and 11th person to portray him. 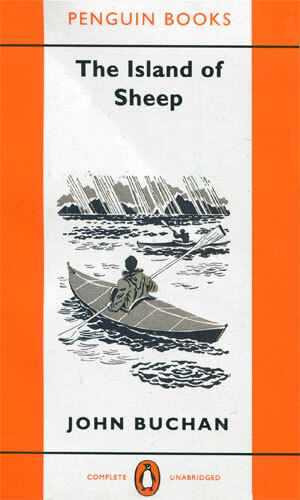 Yet another version of the first book made for BBC Radio 4 and lasting a total of 90 minutes. 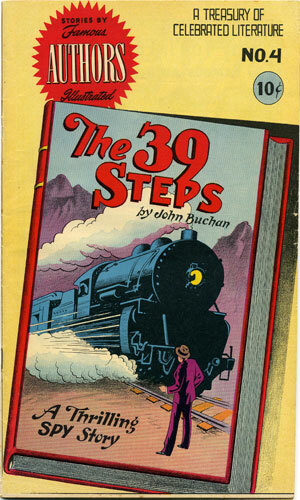 Fast Fiction #4 - A adaptation of the 1st Richard Hannay novel by John Buchan illustrated into a comic book. Stories by Famous Authors Illustrated #4 - A reprint of the above comic book only 1 month later under a different series of comics by the same publisher. - click on the image to read the comic. The Comics Journal #283 - In the color section of this magazine was the 2nd reprint of the comic story that was first printed in early 1950. It appears the magazine staff might be the ones that found the possibly lost comic story when they did the reprint. On the ski slopes of Switzerland in 1923, Richard Hannay witnesses a murder but is surprised when the local police seem uninterested. The fiancée of the murdered man approaches Hannay with a request to get the answer to the killing and provides the man's ring, something which will unveil a huge conspiracy. A pastiche written quite a few decades after the original series. An aged Richard Hannay is called back into service as World War II begins. 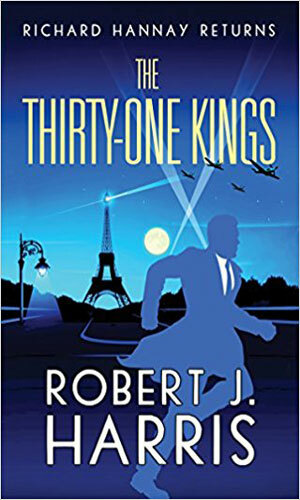 An agent codenamed 'Roland' has disappeared in Paris and is feared in the hands of the Nazis. Hannay is sent to that capital to find and free him. Along the way he encounters old friends and new as well as an enemy who is determined to stop him. Three old friends of Richard Hannay have just finished a spot of poaching when Hannay shows up needing help with a little problem. A foreign dignitary, visiting Scotland, has gone missing and may have been abducted. 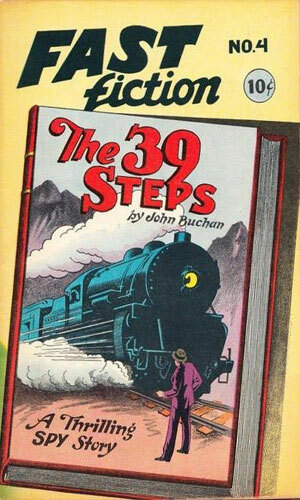 In the mid-70s I first read John Buchan and met Richard Hannay. I was looking for any and all James Bond-ish series I could find and discovered immediately that Hannay was NOT Bond. 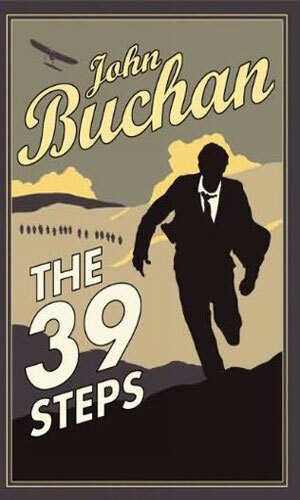 But I also learned that I could and did like the terrific prose that Buchan produced and Hannay's tenacity was awesome. 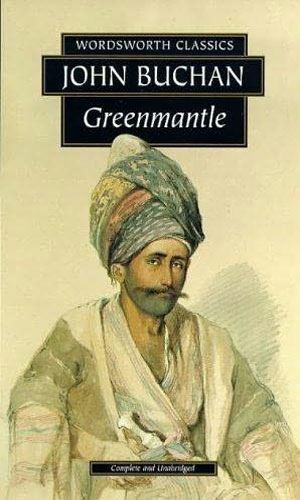 I soon followed The Thirty Nine Steps with Greenmantle and some time later Mr. Standfast. The other two I did not know about (no Internet then). Decades, and Internet, later, I revisited Hannay and his adventures and relearned just how good Buchan was. I also learned about the other two books. 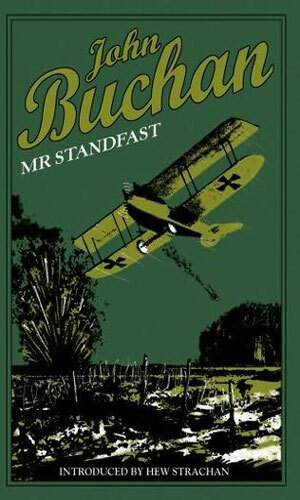 Buchan not only was one of the Founders of modern spy novels, he also really created an oft-used theme of movies, television, and, of course, books - that of the man-on-the-run. Hannay is pursuing the bad guys in the first, most famous novel but he is being pursued himself by police and the very people he wants to catch. Unable to trust and no where to hide, he is alone against the world and that is a very scary proposition. Buchan's immense skill at pulling it off so admirably set the bar tremendously high for those following and few have been able to come close. 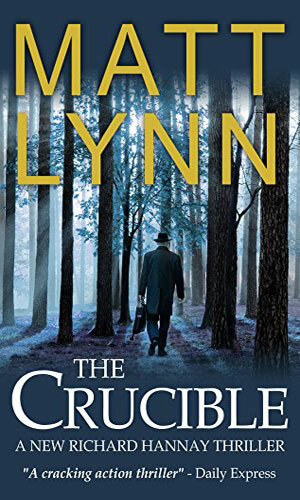 In the books to follow, Hannay is no longer hunted by everyone but his survival chances are still quite slim though always in different forms and that is one thing that makes Buchan such a good read. Each book is different. Similar in style and replete with recurring characters but the trouble he throws Hannay and friends into varies and does not get old. An archetype for those who followed, not to mention being "ripping yarns." Not to be missed.A warning, however. The books are decidedly not P.C. There is a distinct strain of "the wogs start at Calais" throughout the books, and John Blenkiron's American accent is a hoot. I never knew a single American, of whatever background, that talked like that.